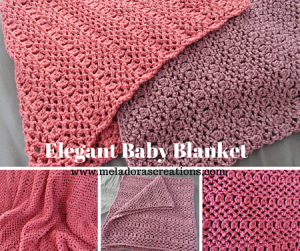 This baby blanket has a gorgeous lace and texture. It’s a lovely pattern for baby girls or baby boys, depending on your color choices. The pattern is available in written, video and photo format.